Combinations of mahogany, garnet, & ruby tones make this custom created color truly unique. Onlookers stop dead in their tracks! 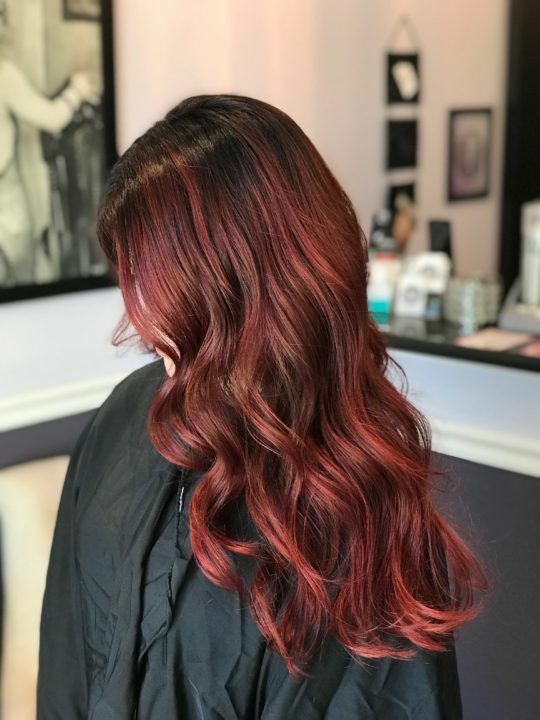 Skin tone, eye color, and natural hair color are considered when formulating the perfect individualized red tones for each client. Inspirations from nature, fashion, & pop culture ensure a perfect balance of creativity & suitability. Color and cut by Erika Creston.